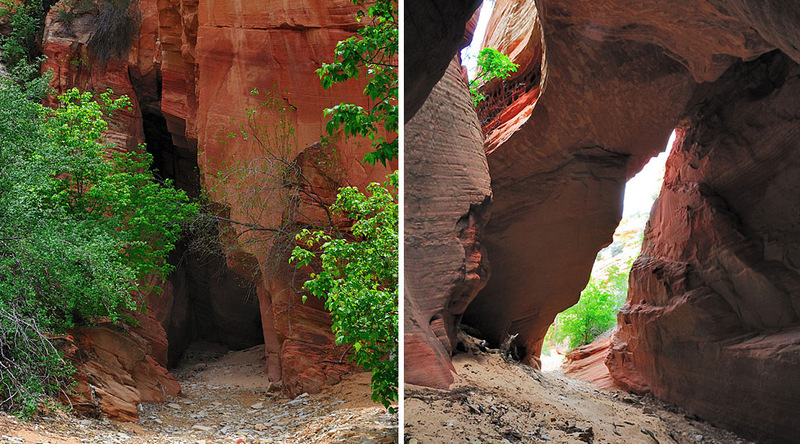 Merwin Canyon Arch is on BLM land in Kane County, Utah, east of Zion National Park. Merwin Canyon is a side canyon of Bay Bill Canyon which itself is a side canyon of Parunuweap Canyon, the canyon of the east fork of the Virgin River. While the lower part of Merwin Canyon is just a sandy wash, 0.6 miles upcanyon it becomes a beautiful and easy to explore non-technical slot canyon. The arch is right at the entrance of the slot. The opening has a width of approximately 40 feet and a height of approximately 25 feet. To take a better photo than mine, bring a tripod and a wide angle lens; take several photos with different exposures and then at home you can create an HDR photo on your computer. Taking a GPS reading at the arch was not possible for me but it should be close to 12S 346250 4114530. Directions: Less than a mile south of Mt. Carmel Junction turn west on a dirt road and drive on it about one mile to a fence with a cattle guard. Park there and walk down Parunuweap Canyon on a public road through private land for about 5 miles to the confluence with Bay Bill Canyon. If you have a 4 x 4 you can drive here if you don’t mind crossing the ankle deep river many times. Hike up the sandy wash of Bay Bill Canyon for 1 mile. 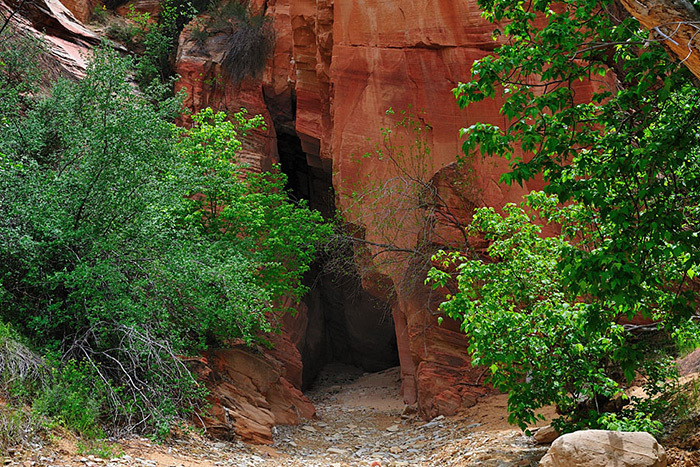 Then turn left and walk up colorful Merwin Canyon for 0.6 miles to the arch and the slot. Hey, I appreciate the mention to my post about Merwin and Baybill. 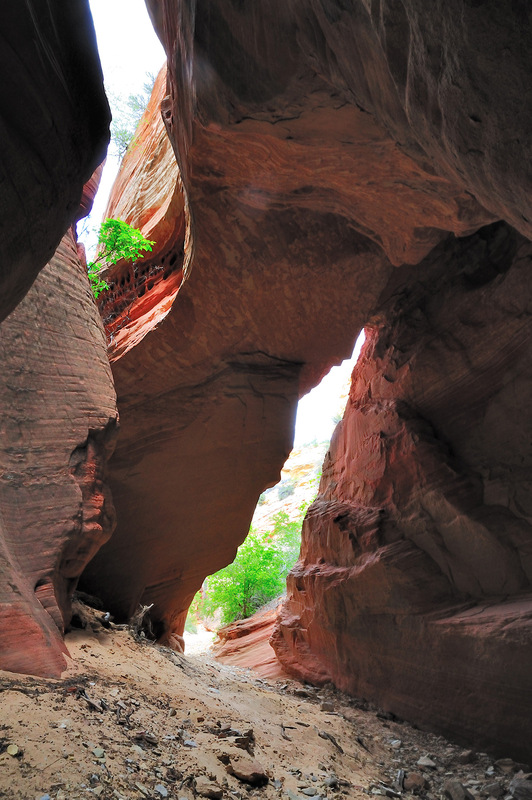 Merwin might be one of my favorite slot canyons in the southwest and Baybill is so picturesque.